Jill moved to Indiana when she was 10 and lived in Huntington until 1994 when she moved to Columbia City. She graduated from Ivy Tech where she studied Human Resources. 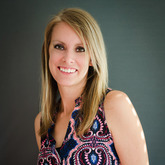 She received her Real Estate training from Troyer Real Estate School in October of 2011. Before she became a Realtor she was a Manager of an apartment community. She has knowledge of the Huntington, Warsaw, and Columbia City areas. She enjoys using the knowledge she has to assist people in there home buying and selling experience. She has 3 totally awesome boys! She enjoys spending time with her family. They enjoy spending time at the pool in the summer! During the winter they like to go sledding and watch movies. Jill is looking forward to working with you to make your buying and selling process as smooth as possible.